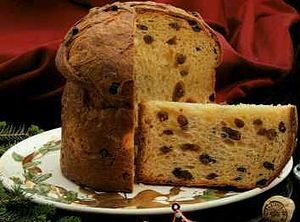 I long for the lights of Christmas in Italy, the panettone and the merriment of Italian Christmas. The food is always great, the countryside is beautiful but Christmas brings on a special way in Italian cities. I love buying cheese, bread, sweets any time of year. The Italians wrap them up like a gift. When you get home you get to open your gift and then enjoy its taste. What fun! I year ago we were in Rome for New Years eve. It was great. The temperature was not overly cold, the Christmas lights were still up and everyone was happy. They closed the main streets of old Rome and millions walked them with iPhones lit like candles. At midnight there was a spectacular fireworks display. The next day as we walked these same streets, we saw champagne corks from the night before. Enjoy your life more! Be romantic!